Ginger educates her clients on all aspects of an estate plan, which puts you in control of end-of-life decisions. Essential for adults of all ages, it provides for your loves ones and ensures that your property is distributed according to your wishes. It's also a crucial component of your overall financial plan, and can help your heirs avoid paying substantial taxes and fees. Ginger enjoys providing expert advice and personable service to her clients to address their personal and corporate legal needs. With a Master of Laws (LL.M) in taxation, Ginger is uniquely capable of providing families and businesses with tax-sensitive estate planning and administration. She often works with her clients' advisors such as financial planners and accountants. 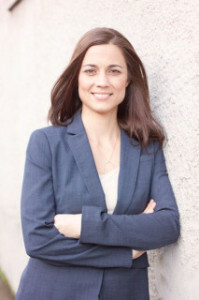 She founded Skinner Law, PC with the goal of helping Oregon businesses and families create advantageous estate and succession strategies, ultimately achieving greater harmony in family and business relationships. "There's nothing more rewarding than helping a family prevent discord and multigenerational conflict," she says. She also specializes in international estate planning law and likes the complexity of this area of law.